Over the weekend, The Meeting House — the Brethren in Christ “megachurch” headquartered in Toronto — celebrated its twenty-fifth anniversary with a massive gathering called One Roof. In 2002, The Meeting House launched our first regional site in Hamilton. Meeting initially in a high school, members of the Hamilton community gathered every week to watch Meeting House teaching on DVD. As we caught a vision for what God could do through a multi-site church, we set to work on three major goals that helped us focus on what God was calling us to do. We called this “Mission 1,” and wanted to launch new sites, open new Home Churches and establish our central production site. Since 2007, we have been working towards our next set of goals–what we call “Mission 2” (clever, eh?). We believe these goals represent what God is calling us to do together right now. We want to engage our community to be fully engaged in our mission, double our capacity to make space for spiritual seekers and invest compassionately both locally and globally, particularly by partnering with Mennonite Central Committee (MCC) and their development work in southern Africa. Today, in 2010, we are located in ten locations across southern Ontario, and are excited about how God is growing and leading us to live simply, give generously, and love freely. 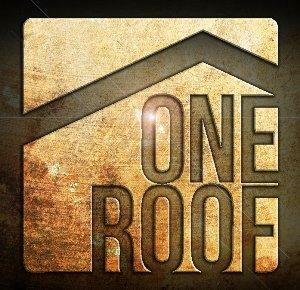 To learn more about the One Roof celebration, check out the video below and/or these photos from The Meeting House’s Facebook fan page. Pingback: The Meeting House’s 25th Anniversary Party — in Fast-Motion « the search for piety and obedience.